Jump and run and fly! Let Jett Rocket explore the beautiful planet of Yoroppa and find out why it has been attacked by the evil 'Power Plant Posse'. Ride the ocean on your Jet Boat, parachute from giant cliffs, speed through arctic regions on your Jet Snowboard or skyrocket with your Jet Pack. 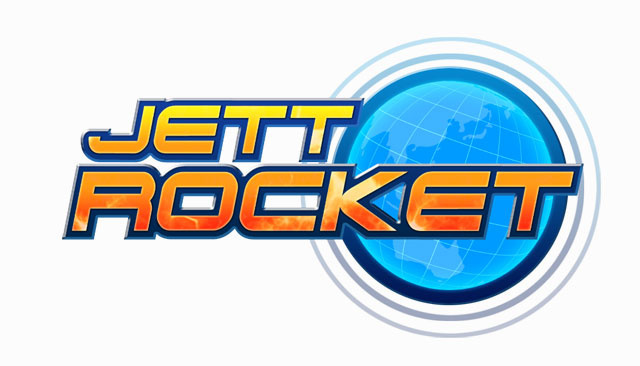 Just be Jett Rocket in this epic futuristic full 3D Action-Adventure! 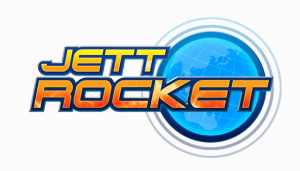 Shin'en developed the excellent Art of Balance for WiiWare so we have high expectations for Jett Rocket. Initial impressions from the screenshots are very positive, expect more information and footage to follow soon. I like the character designs, reminds me of Mega Man. Why does is there, what looks like paint or oil or urine, on the metal platforms on some of these screen shots? wow, thats Wiiware? who knew you could fit games that look that good onto a wiiware size file. Very interesting. I do hope they bring Nanostray in the future to Wiiware! They have too!!! Holy shizzlefat, those are some fancy visuals for a WiiWare game. Looking forward to it, looks like they're putting a lot of effort into it. Wow! This game just got me to post my first post here. I really like action-platformers like this and I am extremely impressed with how this looks. Some really fancy tech going on there! Then again, I didn't expect anything else from the great Shin'en. Just hope the gameplay will match it. This looks good. Hopefully they can pull this off. Wow, a 3D platformer! I thought this genre practically died off last gen. Hopefully I will have as much fun with this Wiiware game as I've had with de Blob and Rabbids Go Home. This looks AWESOME! I love flying but most flying games are all about shooting things.. This seems much better than that! It does have sort of a Rachet and Clank look to it, though. Maybe there is shooting. Shin'en Multimedia has definitely the best games graphic wise. Fun! Fun! Minigolf and Art of Balance are both gorgeous and this one doesn't seem to be any less. I agree, this look absolutely awesome! Those graphics look very good for a WiiWare game. However, I will not judge until I've seen some gameplay. I'm actually trying to get my head around how they can pull off those graphics and keep the file size small. Maybe a small number of areas get recycled with different goals? Even then, the areas would have to be fairly small. Either that, or they're just that good at squeezing a glass of orange juice out of a single orange slice. These graphics look a bit too good for wiiware. After playing the amazing Art of Balance I'm looking forward to anything coming from Shin'en. Wow, this looks incredible! I want it! I should probably download Art of Balance too considering that I've heard nothing but great things about it. My favourite genre of game. @MrMartinLee: You're probably right there. I'm getting quite excited about this one. In a recent review, Shinen said they're using procedural textures generated in real time for grass and other materials which saves on a hell of a lot of storage. Oh, and the game is planned to be running at 60fps! Despite my reservations on Art of Balance I'll be buying it in order to support Shinen'. By the sounds of things they've got another project under wraps for Wiiware too.